There are times foodies are not in the mood to cook or dress up and make reservation to go to a fine dining restaurant. Looking for a good dining experience and wanting a healthier choice then fast food establishment a new wave or restaurants are opening up called fast-casual. 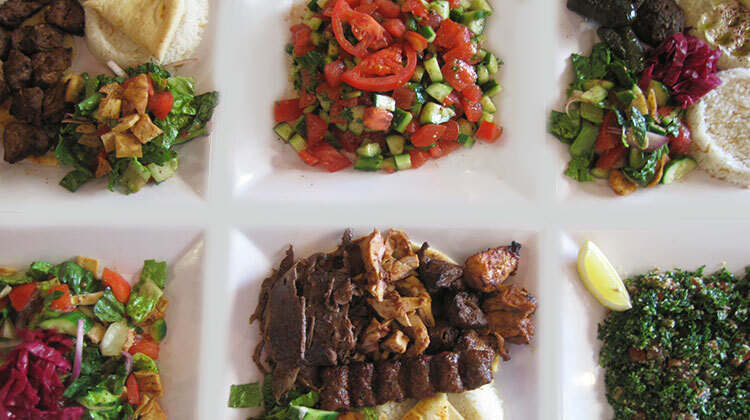 A new player in Orange County to the fast-casual restaurant trend is DonerG Turkish & Mediterranean Grill. Recently I was invited to try their menu and meet the owner Yolan Aslan. I get invited to many restaurant tasting over the years and very few restaurant surprise me. Some that do are restaurants such as The Kitchen in Sacramento California, The Boulevard in San Francisco, California and Sushi Den in Denver Colorado. Any well-traveled Foodie in the US would know at least one of all three and understand my pallet and distinguish good dish from another. That being said DonerG has some amazing dishes that are remarkable. 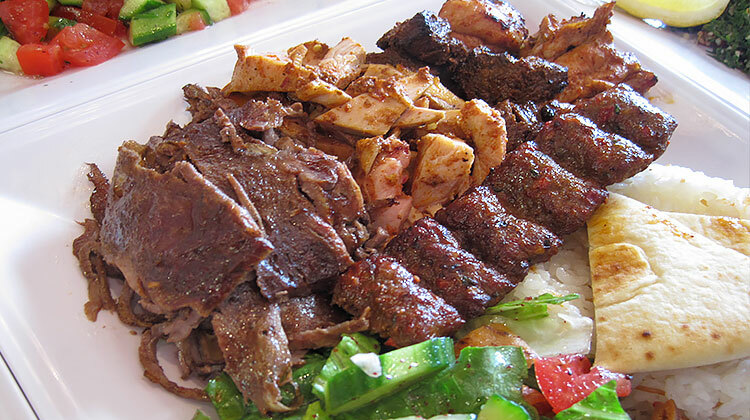 It’s amazing seasoned meat dishes could compete to high end Mediterranean restaurants. Their lamb kebab listed in their menu as the Adana Kebab was the best I have ever tasted. It was so good it has made come back over and over and order it. I have learned others like it as much as I do because if you show up close to closing around 9pm or later they will be sold out of the Adana Kebab and I totally understand why, they are just that good. 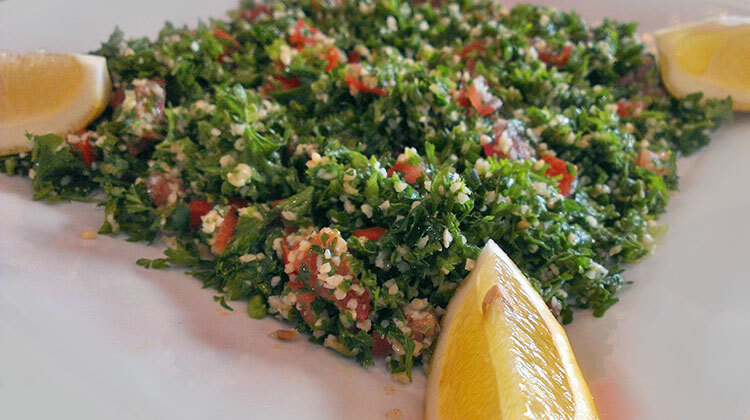 I also would recommend the Gyros, Hummas, Falafels, Sheperd’s Salad, Tabouli Salad and Beef Shish Kebab. When can the food at DonerG is made from local fresh produce with a portion being organic. Thus DonorG not only is a healthy choice over other fast-casual established it also supports local farming industry. For those who find it important DonerG food meets Halal requirements. The pleasant surprise was that the dishes are surprising affordable between $4 to $17 dollars average dish costing $7. At those prices even the frugal foodies can afford it. 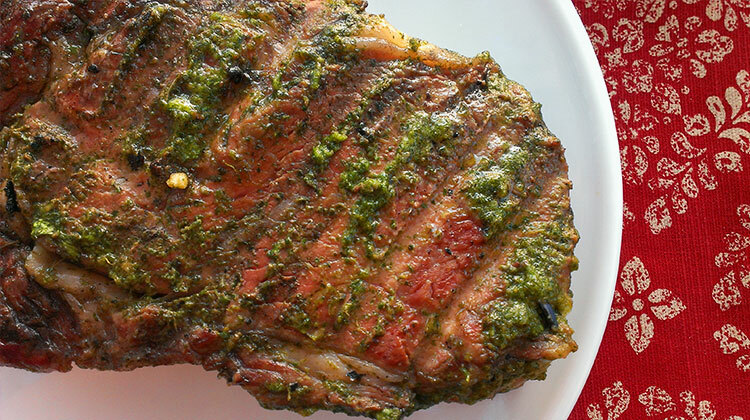 Butter on steak is a French classic, but can be eaten by any foodie in a good steak restaurant. 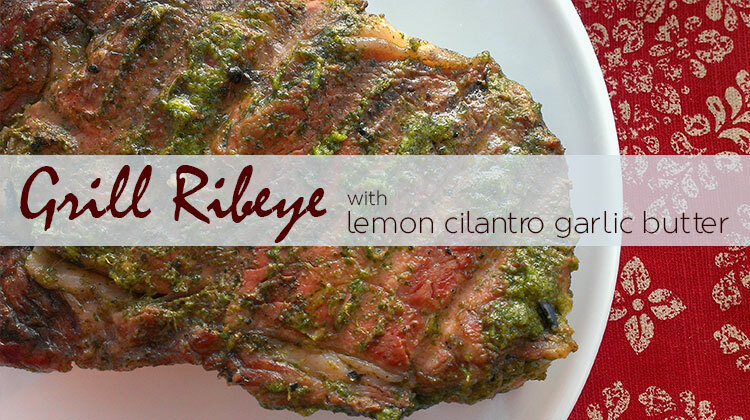 Instead try something different this recipe is a twist on the classic with a lemon cilantro garlic butter. Setting the president, Bellerby & Co is the finest example of the globe-making art today. Each globe is a hand crafted masterpiece, which boasts exquisite beauty in both form and function. Produced in an artisan studio in London, by a highly skilled team of craftsmen. Individually unique and of a supreme quality, the globes undergo numerous intricate processes, featuring lavish attention to detail. Both a stylish and impressive object that would stand proud and befitting in the home and office. The stunning contemporary classic style of the globes can be a complimentary addition into any lifestyle and environment, whether at work in the office or on the desk, at home in the library or drawing room or, onboard a boat. They look perfectly at home in grand stately houses as they do in loft apartments, penthouse suites and at the office, thanks to our highly skilled team who can create a bespoke globe to your exact requirements or desires. Previous commissioned work include established artists, an exhibition for the Royal Geographical Society and a celebrity client list. Not forgetting the “Egg Globe”, which was created especially for the Fabergé Egg hunt in New York that pushed the boundaries of traditional globe making further than before. Set upon the timeless fonts and lines, each globe is hand painted with the finest water-colour pigments, and finished with a high quality varnish to make every one a long lasting cherished piece. Providing a strong and reliable core and continuing the high exacting standards incurred throughout the whole production, Bellerby and Co uses Formula 1 fabricators to build the molds, upon where the maps are placed. Search the world over with ease with our multidirectional, fluid,unrestricted revolving globes. The globes are available in traditional wooden mounts with foundry cast brass meridians or flat bases. A choice of the finest quality hand turned american walnut wood and cast metal is used for the bases, giving each globe an impressive platform. Evoking admiration through size, quality and skill, an exquisite showcase of models range from desk globes, to larger free-standing 80cm globes and the life-size Churchill. With the stylish desk globe, have the world at your hands. A smaller contemporary piece which would beautifully adorn your workspace or bedroom. Hours of enjoyment can be had with our multi-directional roller bearings fitted to the base of your choice in the finest quality wood or metal. Produced in limited numbers, each are have their own copper plaque denoting the edition and number and space for a personalised message. Presented in its own luxury carry case, this is a perfect gift to show someone they mean the world to you. The classic collection pays homage to the archetypal globe and is the perfect fusion of modern techniques and the traditional fine art of globe-making. Each of the free-standing globes are supported by a beautiful oak or mahogany base, featuring horizon rings and completed with an aged-brass foundry-cast meridian. The collection includes the antique-looking Perano, which features a demographic and political map. 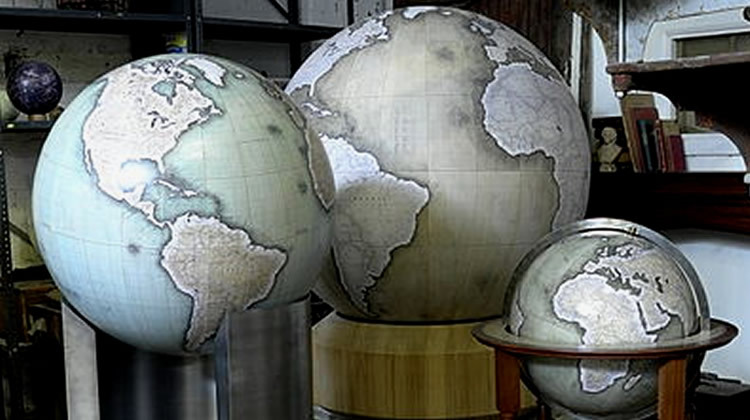 Our limited edition collection, The 80s Series, are made to order luxury globes. The majestic globe rests upon an innovative metre-high streamline stand, designed in collaboration with heritage technicians from Aston Martin. A sign of empowerment and friendship, ‘The Churchill’ is the largest of the models available and was inspired by the 50inch globes given to both Churchill and Roosevelt during a profoundly difficult period in the WW2, to signify their great alliance. It is a generous 125cm in diameter, with a scale of the map1:10000000miles. It showcases a tremendous amount of detail, where you can really appreciate and discover the coastlines, terrains over the curvature of the earth, highlighting the earth’s true expanse. Not only the size but the grandiose beauty makes this a stand-out piece which welcomes attention. It can not help but be studied and adored. Not only are these beautiful pieces of art and craftsmanship but, a historical document capturing a moment in time, that are to be used, enjoyed and treasured. For the travel lover, take a spin to plan your next destination or adventure. An expression of love, a timeless object that can arouse nostalgia and can be a sentimental precious keep-sake or gift. Made to order, each one is unique. A performance with some four dozen members of the talented Dalian Acrobatic Troupe hailing from China, YULAN is a fresh and modern ballet, directed and produced by Dennis Nahat. YULAN combines influences and talent from China, California, Tokyo, and Europe into a cohesion of ideas and inspiration, an amalgamation of creativity and inspiration. Recoiling from an unfortunate set of circumstances and setbacks, artistic director Dennis Nahat has shrugged off challenges and poured himself into this new work. 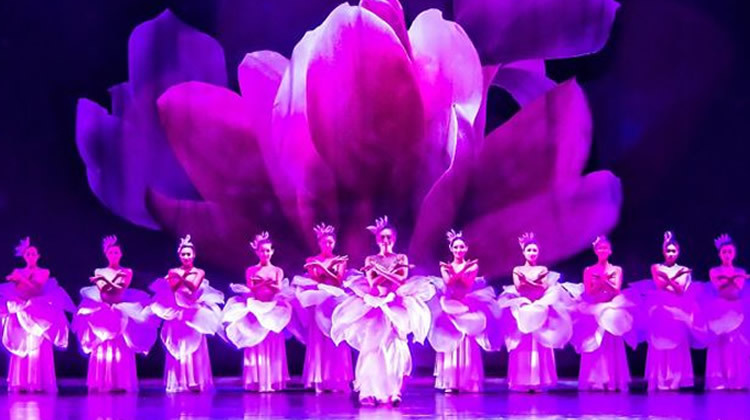 YULAN is a modern ballet that conjures anything but traditional conceptions of ballet or China – performers disregard the laws of physics and their anatomies, and conventional Chinese stories of war and the dramas of men. YULAN is a refreshing mixture of ballet, contemporary dance and art, classical circus, and modern ideas and thought. The ballet is the marriage of passion and skill across the board: stunning costumes merge with science-fiction-inspired stage designs and innovative lighting. These dovetail with the performers’ enthusiasm for entertainment and for the concepts and ideas of YULAN, with Nahat’s respectable experience with choreography, production, and direction, with Paul Chihara’s score, with the variety of ideas and influences each member of the production poured into the production. The result is YULAN, a creation driven and designed by each part of the team for the audience. YULAN is the first of two trans-Pacific collaborations from Nahat’s new production ventures, Theatre Ventures International and the United Star Performing Arts Corporations; on the heels of YULAN is The Terracotta Prince, a work taking inspiration from The Nutcracker to merge this western classic with Chinese ideas. As we all know, wines can be a hit or a miss. An expensive bottle of wine or a winery with a good advertising firm don’t mean much if the wine tastes bland on your palate. An excellent wine will stop you in your tracks on the first taste; you take note of the label and year, and began researching the winery and it’s products online, and asking for them in stores. Some wines are so good you can almost fall off your chair when you see the retail price. Not because they are expensive, but because they are affordable for an afficionado on the tightest of budgets. This is how I feel about Roots 1, Cabernet Sauvignon 2004. It is an excellent, rich, and elegant polished full-bodied wine; complex, concentrated and balanced. The flavors are mature and savory. Despite the retail price of $12 wines many selling for $50 a bottle pale in comparison. I am convinced Felipe Tosso, the winemaker of the Roots 1, truly has an award winning wine. I feel it is one of the best wines from Colchagua Valley in Chile. I wouldn’t hesitate giving it as a gift, serving it to guests, or buying a case or two to keep in reserve. 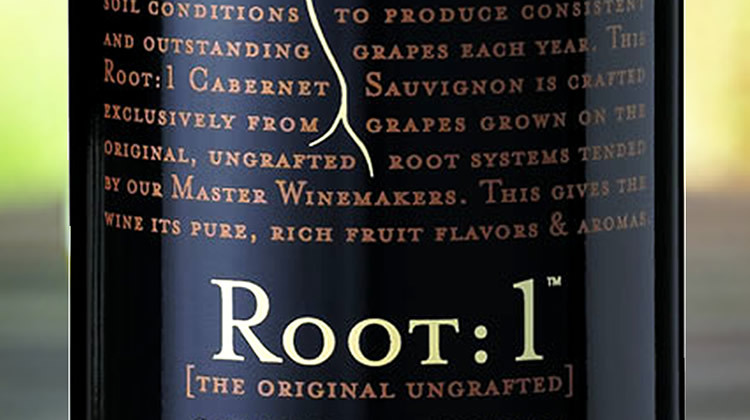 Roots 1, Cabernet Sauvignon 2004 pairs well with full-flavored cheeses, pasta with red sauce, steak, ribs, chicken and chocolate. 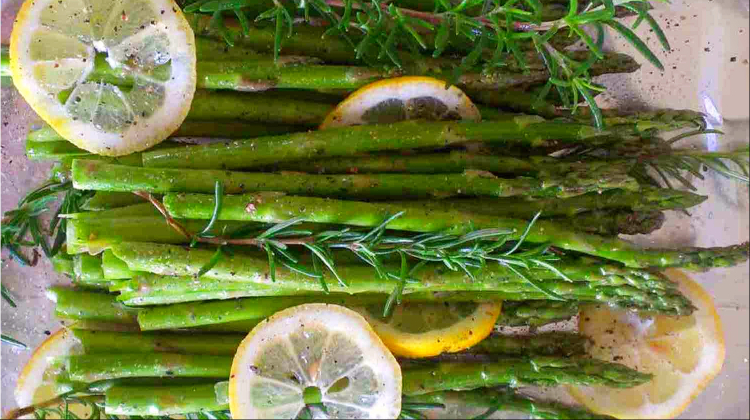 Rosemary sprigs double as flavoring agents and skewers. Perfect to pair with a salad and/or steak. This simple but elegant rosemary shrimp recipe is easy to prepare and will impress your dinner guest. Sprinkle shrimp with salt, pepper, paprika. Whisk olive oil, chopped garlic, parsley, chives, thyme and lemon in medium bowl to blend. 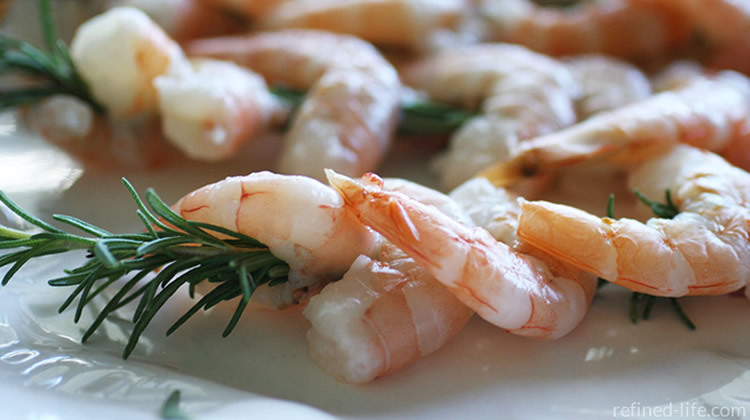 Coat shrimp with the whisked herbs and lemon and let stand at room temperature 15 minutes. With the release of their fifth book, Hullabaloo! The Life and (Mis)Adventures of L.A. Radio Legend Dave Hull, the writing-editing team of Bill Hayes and Jennifer Thomas have created a titillating textbook on an important part of pop culture history and the pedigree of rock ’n’ roll. Hullabaloo! is both Dave’s wild personal ride as he worked “up and down the dial,” as well as a crazed chronicle of the evolution of commercial radio from the 1940s to the present—all presented with a soundtrack-in-words that ranges from Tennessee Ernie Ford to the Beatles and beyond. Dave first took to the airwaves on Armed Forces Radio in the early 1950s. From there, his on-air insanity took him from Roswell, New Mexico, to Ohio to Michigan to Florida and finally to the mass-market of Los Angeles. In L.A., “the Hullabalooer” rose to number one in the ratings and even higher than that in the hearts of young listeners. His zany tales of broadcasting bedlam make for an amazing, entertaining, and just plain fun book! I had the privilege of sitting down with Bill and Jennifer to dig into the marvelous mayhem of creating 600 pages of hullabaloo! Q: How did you meet Dave Hull and how did the book project take off? J: We met Dave through a mutual friend, the completely psycho J.J. Solari. J.J. was a writer for Easyriders magazine, as was Bill. J.J. was also one of the featured “characters” on Dave’s Lovelines show on KGBS and KMPC years ago. J.J. told us that Dave’s story simply had to be told—and he was right! Q: It sounds like Dave is pretty much surrounded by humor and wackiness. B: Absolutely! Humor and wackiness are his trademark! They are what made him so successful. He is so proud of the fact that he never had to slide into the “shock-jock” category to maintain an audience—although his Lovelines show did get “hotsy-totsy” from time to time! Q: There are some comments at the beginning of the book that indicate this was definitely a labor of love for you two, not just another book. B: There is definitely a lot of love in this book. I was there when Dave was number one in L.A. I listened to him on my old AM car radios—we all did! It was that humor and the wackiness and the fun. It was the Beatles and the Stones and the rock ’n’ roll that not only changed the emotions and attitudes of American youth but in many ways it changed the world. And Dave Hull was right in the middle of it! Q: The book contains many rare photos and graphics. Evidently Dave kept everything! J: He sure did; and that made designing the book a lot of fun—and of course, a lot of work! We went through boxes of archival material. We came across original menus from his Hullabaloo night club, copies of the KRLA Beat newspaper, every issue of his fan club newsletter, autographed Beatles pictures, a script from The Monkees television show that Dave appeared on, tapes of his old shows, and so much more. It was like the storage areas at the Rock ’n’ Roll Hall of Fame! His fan club president, Linda Thor, also entrusted us with her original old-timey construction-paper scrapbook that she created for the fan club. We put as much of everything that we could into the book! Of course, if we had put everything, it would have been twelve hundred pages instead of just six hundred! Q: Talking about the Beatles, Dave was called the “Fifth Beatle,” right? Why? B: Well, he was a part of them here on the West Coast. KRLA management made him the president of their fan club, and he constantly broadcast “inside information” about them on his shows—like their personal addresses and phone numbers! J: Yes, he had a top-secret insider (you have to read the book to find out who!) who always gave him the inside scoop. The Beatles never figured out how he knew so much! B: Dave did spent time with the Beatles in person too. He spent a few weeks with them in the Bahamas while they were filming the movie, Help! And one time, he stowed away on their jet to Denver. Way back at the beginning, he helped Bob Eubanks to bring them to L.A. for their first West Coast concerts at the Hollywood Bowl and Dodger Stadium. He truly was the Fifth Beatle! B: Absolutely! Just the other day a copy of the album Sgt. Pepper’s Lonely Hearts Club Band signed by all four Beatles sold for nearly three hundred thousand dollars at an auction in Texas. Beatlemania lives on! J: So does Dave Hull! Dave finally retired from radio in 2010, but the buzz caused by this book resulted in him coming back! He returned to the airwaves with “Dave Hull & Mandy,” on Saturday, March 30 on CRN Digital Talk radio. 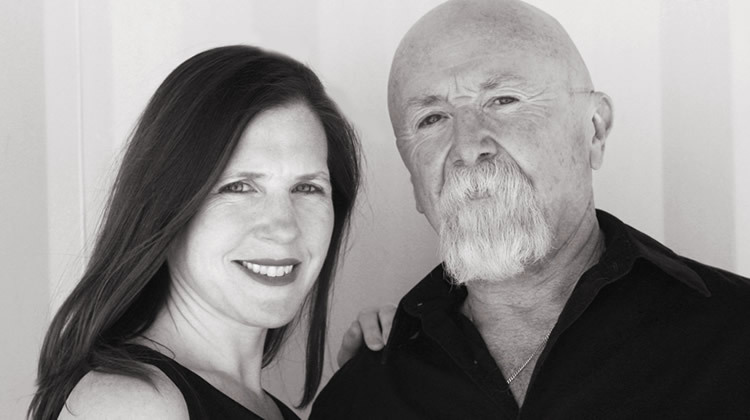 The show, which airs from 2 to 4 p.m. Pacific each Saturday, features Dave teamed with popular radio personality Mandy Armstrong. Both worked at KWXY-FM in Palm Springs. And our old pal, J.J. Solari, will also be on the show! After a nearly sixty-year career, “the Hullabalooer” is back, and his wild life story has finally been written! Please check out Dave Hull’s website at www.davehullthehullabalooer.com! 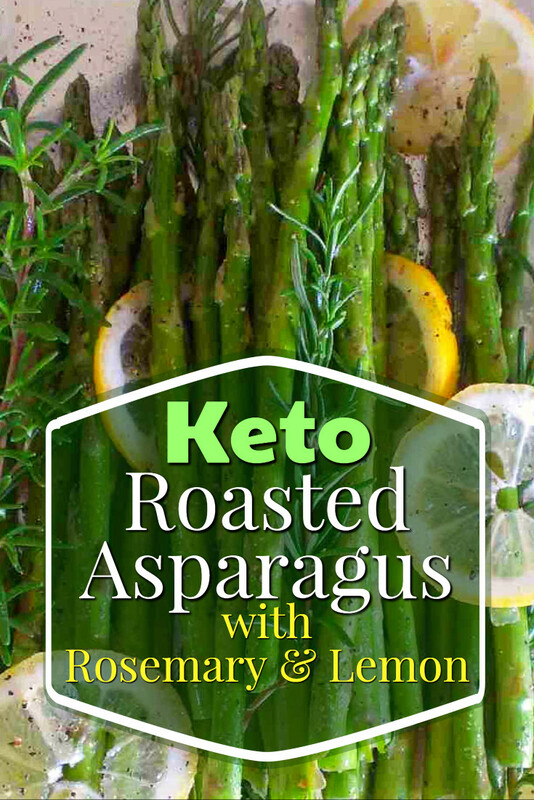 A great twist to cooking asparagus. Thinly slice half of lemon. 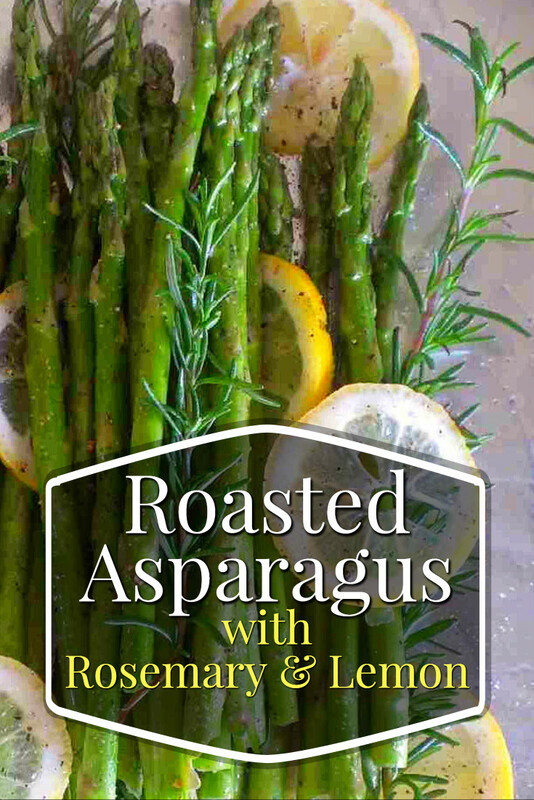 Prep asparagus sprigs, and spread them along with the lemon slices and rosemary on tin foil. Toss all with olive oil, as well as salt and pepper. Squeeze juice from remaining half of lemon. Roast in oven for 7 minutes, then carefully turn asparagus over and continue roasting for another 8 minutes. Watch for preferred doneness. Add additional time if needed. Total roasting time should be between 15-20 minutes. Simply Spirit has reached the #1 position in the spiritual/self-help category on Amazon.ca for one simple reason: it’s a great book on spiritual clarity. The title says it well: Simply Spirit: A Personal Guide to Spiritual Clarity, One Insight at a Time. From intuition to spirituality to fear to love and sexuality, this spiritual bestseller covers it all. Like the beloved spiritual bestsellers by Wayne Dyer, Deepak Chopra and even Dalai Lama, Simply Spirit offers universal spiritual truths. And yet, it reads completely fresh and different. Written in quotation form, this bestselling spiritual guide is described as a “treasure chest” full of wonderful surprises that make us ponder and reflect on our lives. While being stirring and thought-provoking, the book is also deeply comforting. It pushes and startles as it envelopes us with love and warm support. In some ways, one can call it the Yoda of spiritual books. We get to read only one – ONE! – quote per page, but that’s all it takes to jolt us into deep contemplation. Reviewers have said that they cannot read more than one quote per day – the impact is that great. In the introduction to this bestselling spiritual guide, the author, Joseph Eliezer, who is also a psychotherapist practising Intuition-Enhanced Psychotherapy, speaks about his experiences that precipitated the writing of Simply Spirit. A truly bizarre combination of events transpired and brought with them several months of non-stop AHAs that would interrupt Joseph’s life at the most inopportune times. For a person brought up in the Jewish religion to experience Christ-like dreams and visions of Mother Mary is beyond strange and extraordinary – it’s almost unbelievable. And yet, we believe the author because of his unequivocal sincerity. In Joseph’s own words, “You have no reason to believe me. The more you read this, the more far-fetched this may seem to you. I, on the other hand, have no reason to lie to you. I would not want to incur the Karma”. Whatever troubles you right now, pick up the book, flip to a random page and see what message you get. Don’t rush to get to the next quote as you might miss the meaning of the one that is staring at you right now. That’s my favourite method of gleaning spiritual nuggets from this bestseller: ask a question, open Simply Spirit, read the quote and contemplate. Alternatively, strolling to a particular chapter that covers a subject that troubles you is a good way of finding answers to situations causing spiritual angst to which we are all prone. Oh, and don’t forget that this bestselling personal guide to spiritual clarity makes a terrific gift! Whether you are looking to give to a teen, young adult or mature folk, Simply Spirit is a perfect solution to an age-old dilemma of smart gift-giving. Congratulate yourself on finding a true gem and pass it along. Your Karma will thank you.